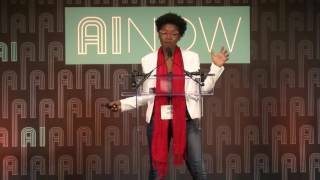 Joy Buolamwini is a poet of code on a mission to show compassion through computation. As a graduate researcher at the MIT Media Lab, she leads the Algorithmic Justice League to fight coded bias. 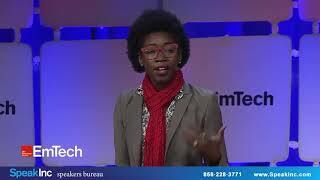 Her research explores the intersection of social impact technology and inclusion. In support of this work, Buolamwini was awarded a $50,000 grant as the Grand Prize winner of a national contest inspired by the critically acclaimed film Hidden Figures, based on the book by Margot Lee Shetterly. Through Filmmakers Collaborative, Buolamwini produces media that highlight diverse creators of technology. 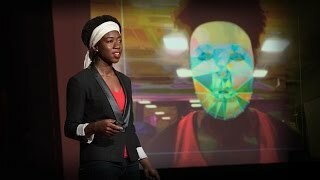 Her short documentary, The Coded Gaze: Unmasking Algorithmic Bias, debuted at the Museum of Fine Arts Boston and her pilot of the Code4Rights: Journey To Code training series debuted at the Vatican. She has presented keynote speeches and public talks at various forums including #CSforAll at the White House, Harvard University, Saïd Business School, Rutgers University, NCWIT, Grace Hopper Celebration and SXSWedu. 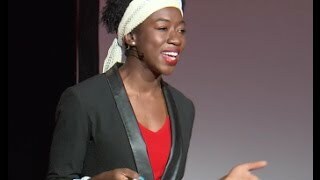 Buolamwini is a Rhodes Scholar, Fulbright Fellow, Google Anita Borg Scholar, Astronaut Scholar, A Stamps President's Scholar and Carter Center technical consultant recognized as a distinguished volunteer. She holds a master's degree in Learning and Technology from Oxford University and a bachelor's degree in Computer Science from the Georgia Institute of Technology. Buolamwini serves as a Harvard resident tutor at Adams House where she mentors students seeking scholarships or pursuing entrepreneurship.